Morning everyone! 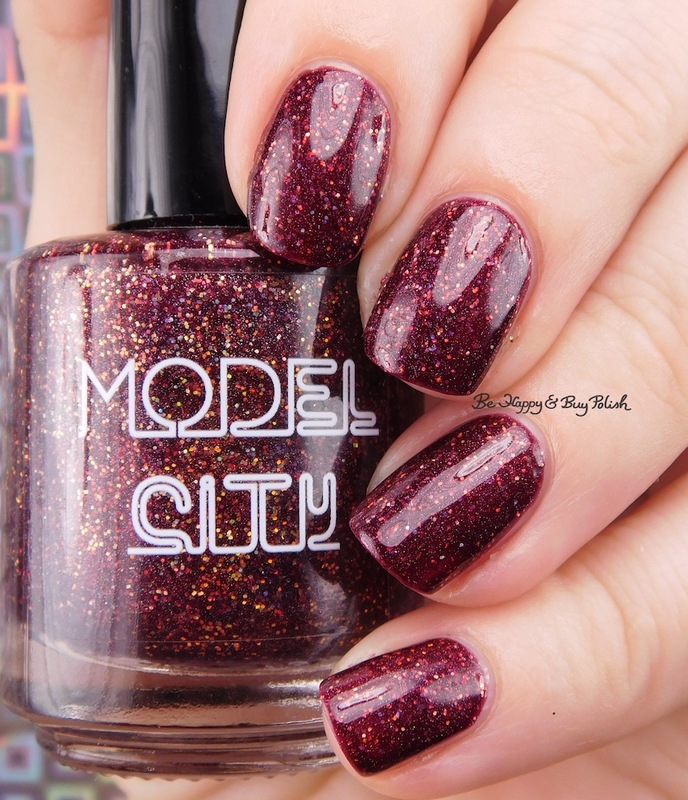 I’m back again with another autumn appropriate nail polish: Model City Polish Fall in Love. Fall in Love is a pink-tinged burgundy with scattered holographic effect and holographic copper glitters. This had a great consistency and was just simply beautiful. This is 2 coats plus top coat. I’m still sad about MCP not being around anymore, she made some beautiful polishes! She really did! I miss her too.